We often feel like we don’t have enough room to store all of our belongings properly. 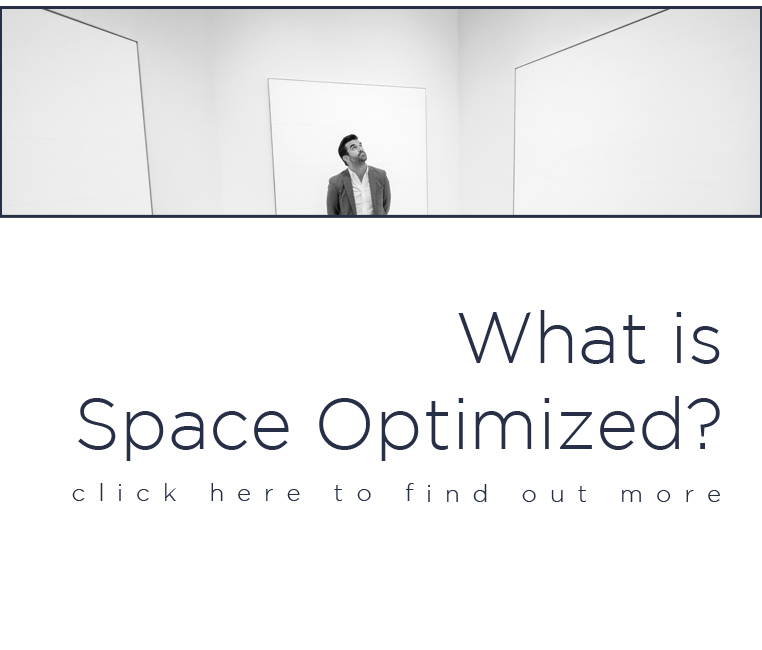 In areas such as the living room and bedroom, we deal with this problem by adding some extra storage solutions and choosing multi-purpose furniture. However, when it comes to making some extra room in our bathrooms, we’ll need to be a bit more creative and think outside the box. If you are like the majority of us, mortals, and you are not blessed with a huge bathroom, don’t despair. There are some neat tricks that can help you make more room in your bathroom and use all that space to the max. To find out more, please read on. Some of the most common storage solutions found in bathrooms include a vanity, a medicine cabinet, and a towel cabinet, but let’s face it – we tend to have way more products than those storage solutions can handle. Therefore, inspect your bathroom top to bottom and try to determine where else can you add a storage solution. If your bathroom is narrow but tall, go up. Put up cabinets on the walls and add a few shelves wherever you can. That way, you’ll free up some of the floor space and make smart use of the wall space instead. 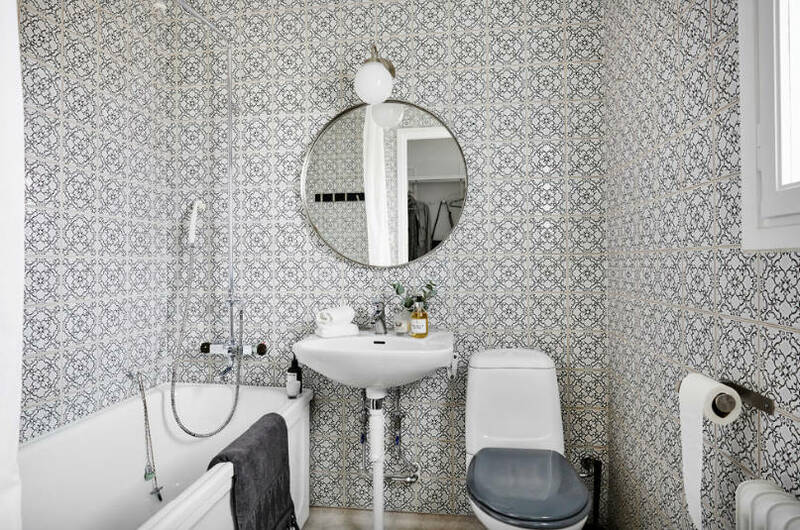 Deciding to go with smaller bathroom furniture is always a better option, especially in bathrooms that are not particularly spacious. Big, chunky pieces will only make your bathroom feel crowded and even smaller than it actually is, while they don’t offer much in return in terms of functionality or practicality. That’s why you should browse for smaller bathroom supplies online and replace your big pieces with smaller alternatives for some additional room. 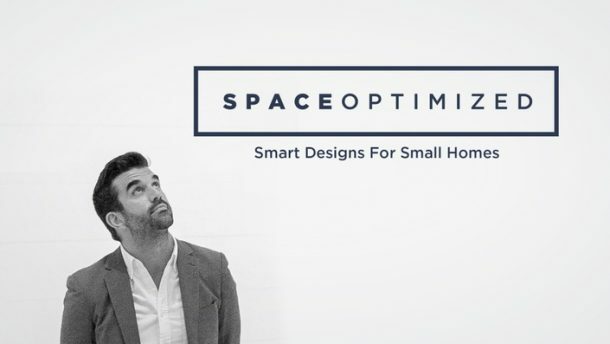 Also, consider replacing your bidet with a bidet toilet seat, or your freestanding wash basin with a wall-mounted alternative because they have the same functions but require significantly less space. Another neat trick for making more room in your bathroom (at least visually) is covering all your cabinet fronts with mirrors. 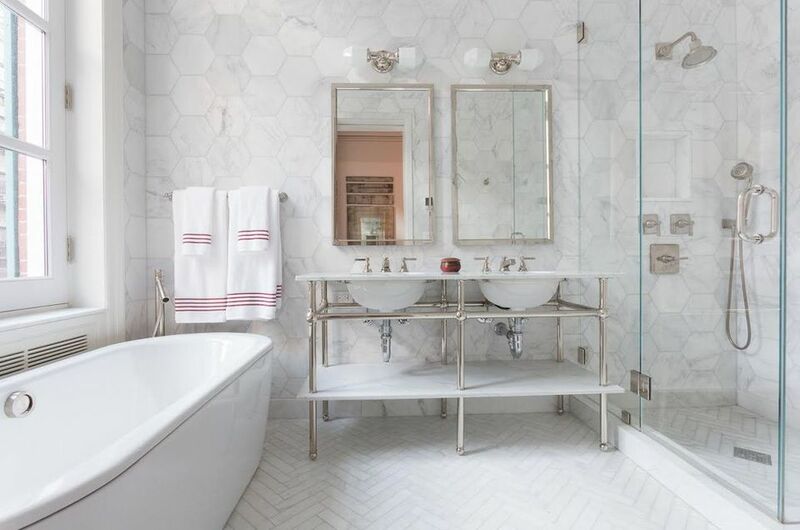 Mirrors play a huge role in making any space appear larger because, instead of acting like a visual barrier (like ordinary cabinet doors), they reflect light and add a certain amount of depth to the room. For the added wow effect, turn one of the mirrors (the one above the sink) into a statement piece by adding it a wrought iron mirror frame. Replace your plain old shower curtain with clear glass panels for some additional feeling of luxury and spaciousness. Not only will this open up the shower area and tie it with the rest of the room, but you’ll feel much better and less constrained when taking a shower. And finally, glass panels will let more, or rather all of the light through, which will significantly increase the visibility in your shower area. A lot of doors swing into the bathroom, which is another thing that can make your bathroom feel uncomfortably small. Cabinet doors also require some room to open. Therefore, for some extra space, consider replacing all of your doors with a sliding alternative. 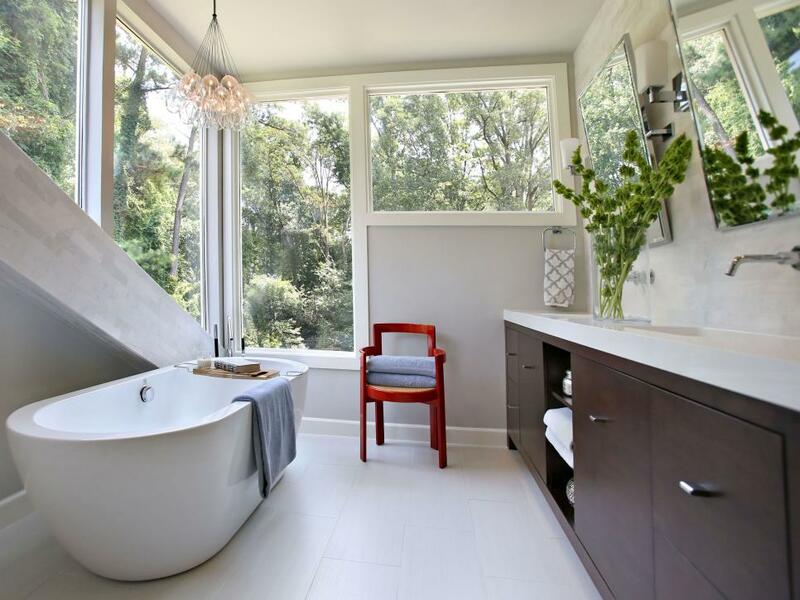 Yes, a bathroom design can also significantly affect the amount of space in it. Therefore, to make more room, you should rethink your bathroom design and get rid of everything that serves only a decorative purpose. Instead, you should fill your bathroom with items that are both practical and useful and serve an aesthetically pleasing purpose. Woven laundry baskets, decorative lighting fixtures, and an artsy soap dispenser are all equally useful and work as excellent decorative pieces. 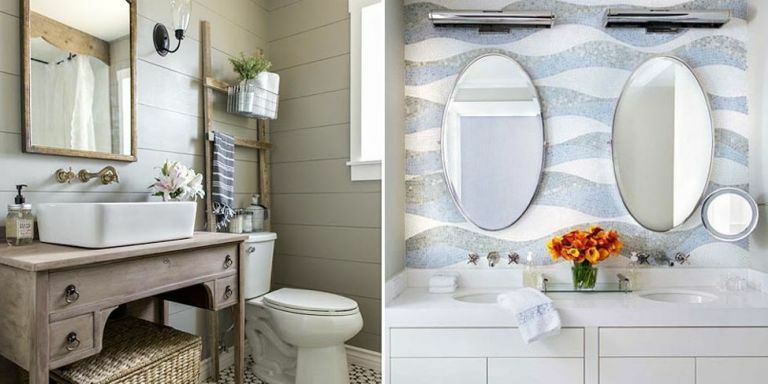 As you can see, apart from making your bathroom appear larger and freeing up some additional space, these simple tricks will bring you numerous other benefits. Not only will they make your bathroom feel more spacious and cozy, which will definitely positively affect your mindset, but they will look extremely elegant and sophisticated as well. So, what are you waiting for? Get to work and enjoy your newly-found peace in your new bathroom.